So many valuable family heirloom and elegant furniture pieces sit and gather dust in basements or attics because their upholstery looks worn outm torn or stained. A little extra attention from experts can restore these rare and beautiful pieces to their original state, so you can display them with pride. 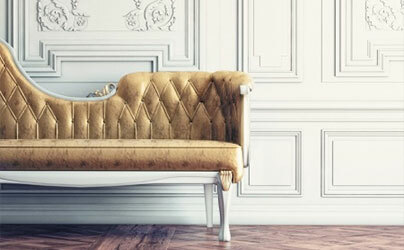 For over 20 years, Champions Refinishing & Upholstery has restored classic furniture and gorgeous antiques with complete furniture upholstery repair and re-upholstery services in Spring, Texas, making each piece beautiful again. From the most comfortable family chairs to elegant sofas and period settees, rocking chairs and many more, upholstery is a key element. To create a beautiful aesthetic and make the furniture usable and comfortable again, restoring upholstery is vital. Upholstery may wear down over time, covering up its vibrant color and making the furniture appear dingy or dirty. We want to bring out the best in your furniture, so it can be used and loved again. We pickup and deliver your items upon request. Contact us today for more information.